Enter your account information, then your signature details. 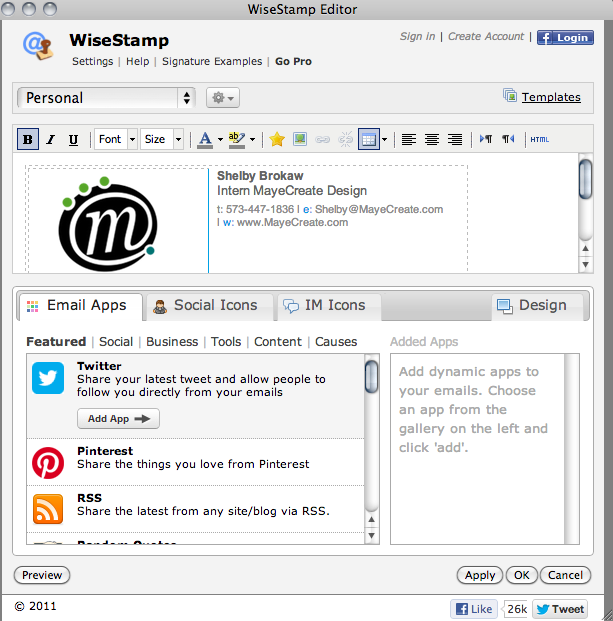 Select a template next, and you will automatically enter the Wisestamp editor phase. From this window, you can add buttons, social icons and IM icons to your email signature. You can also edit the template that you chose previously. Remember that the goal of adding information to your signature is to create interest and tie your email in with your other online resources. You don’t want to overwhelm the recipient. Because WiseStamp works through your browser and not your Tnet Mail account, you will need to set up your signature on each computer and browser with which you plan to use it. Simply repeat this process on each computer and/or browser. 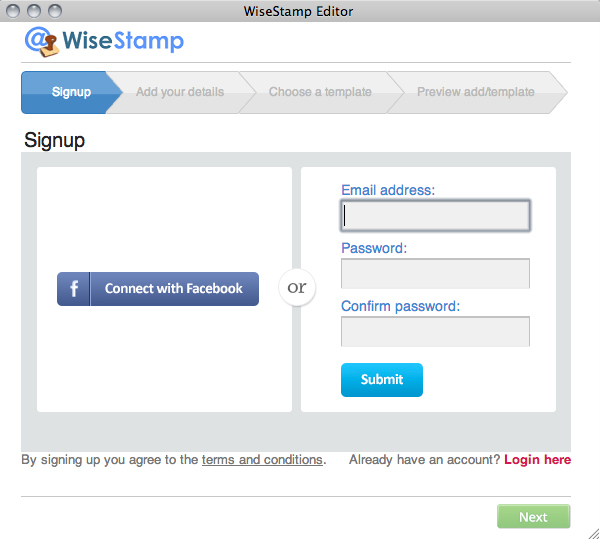 When you’ve finished creating your WiseStamp signature, go to your inbox and click the Compose button. 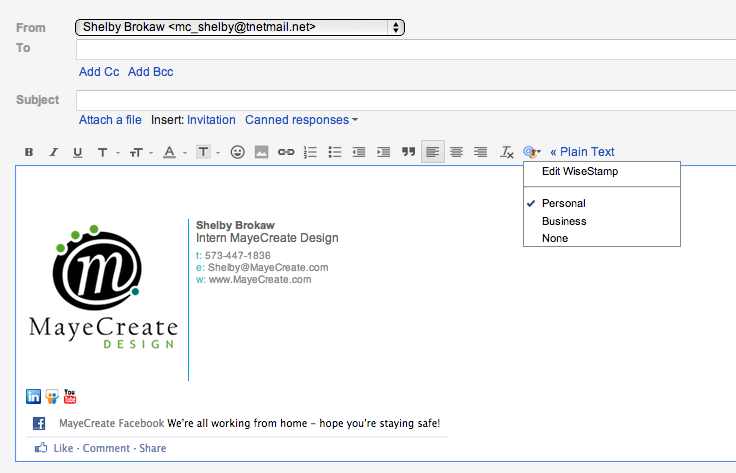 From there, you can view your email signature as it will appear for your email recipients. If you’re not quite satisfied with what you see, click the WiseStamp icon located in your email editing toolbar . A dropdown menu will appear from which you can select Edit WiseStamp. Another way to edit your signature without going into compose mode is by clicking on the WiseStamp icon located at the top right of your screen, above the settings button. If you don’t want to face the embarrassment of having two email signatures, you will need to delete your old one. Simply go into your Settings, scroll down to the Signature section and select No Signature. Now, you’re set to promote your business through every email that you send. To use more email add-ons like WiseStamp while accessing the support of Tranquility Internet, contact us about our webmail services.